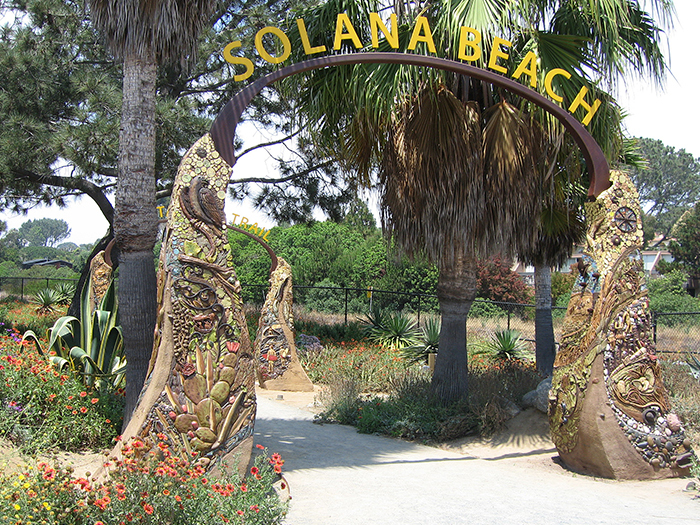 In a nationwide competition the City of Solana Beach chose Betsy Schulz’s design for two arches to replace the town’s aging south-end entry sign and to serve as the gateway to a walking and biking trail. 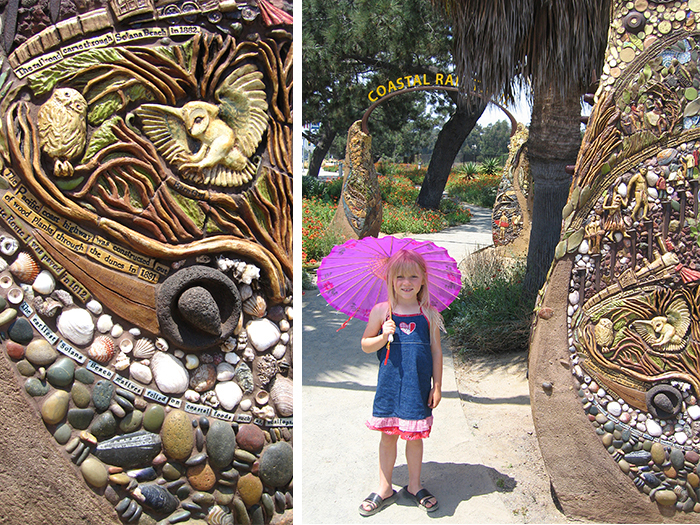 The taller arch displays the city’s name, and the smaller arch announces the “Coastal Rail Trail” that parallels the train tracks through the coastal city. 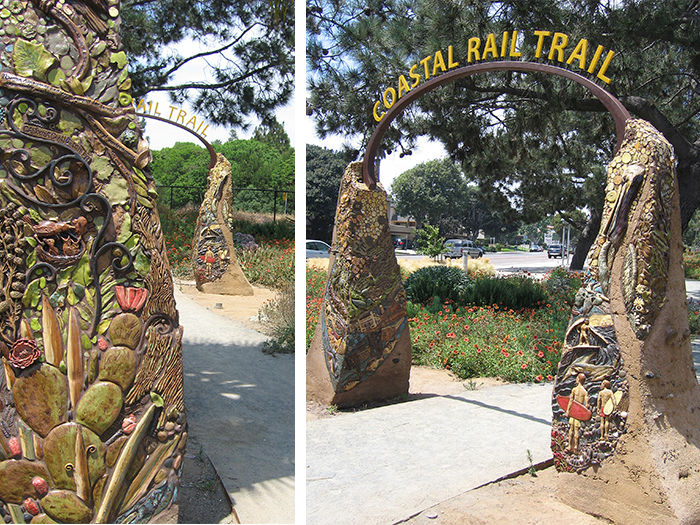 For each arch two hand-sculpted concrete columns with inset tile support the metal lettering that arches over the trail. 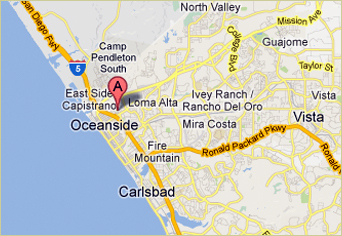 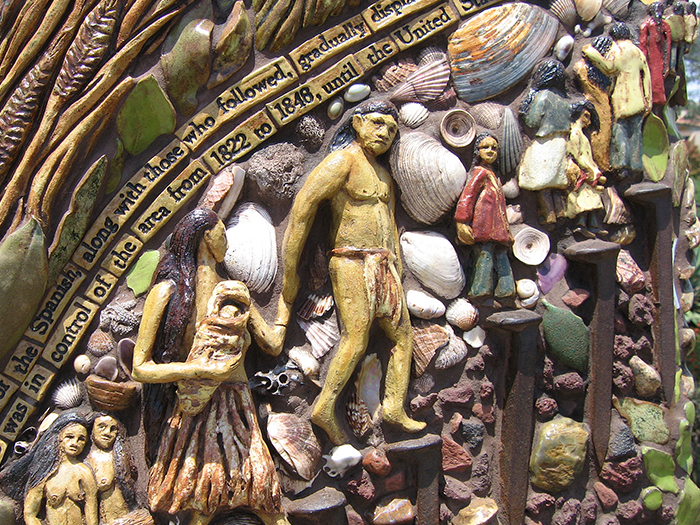 Schulz researched the history of Solana Beach, conducting many interviews in the process. 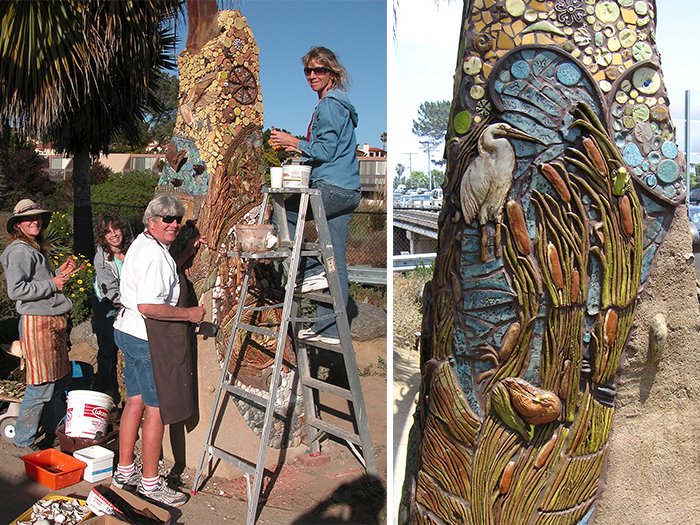 She held two tile-making workshops to encourage community involvement, one with Skyline Elementary School’s 2003 fifth-graders and one for Solana Beach residents of all ages. 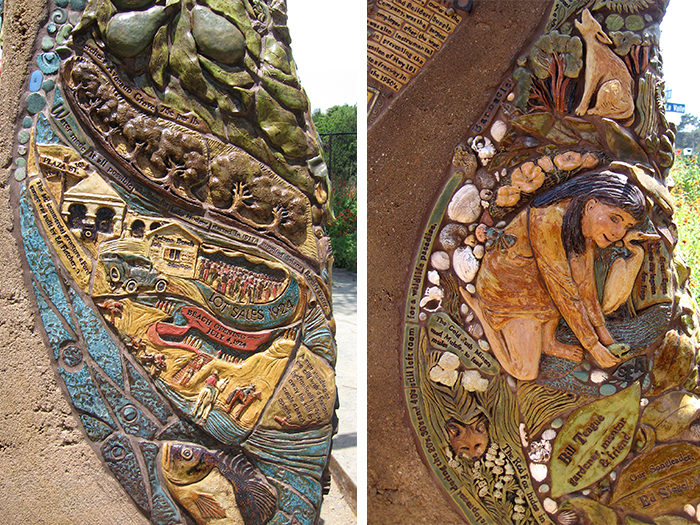 Residents also shared stories and bought donor tiles to help support the project. 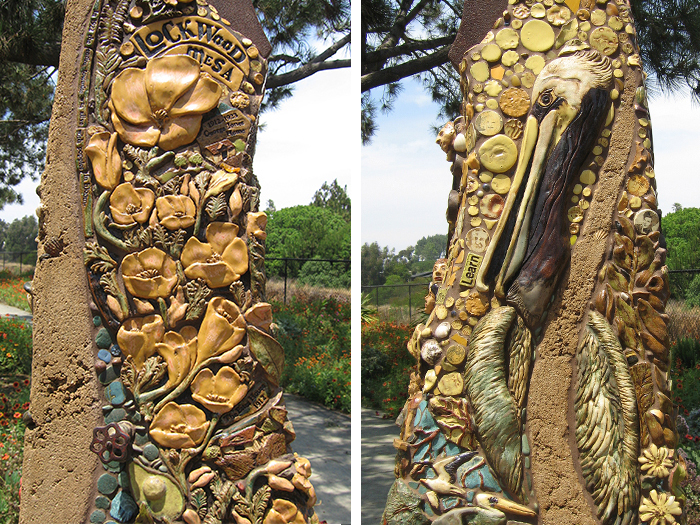 Sculpted tiles of fossils, birds, fishes, farming, and residents, as well as small signs, shells, and metal and ceramic artifacts, were artistically combined to represent Solana Beach history.